Although there is sometimes an uncertainty about new technologies, big companies are starting to realize, how widespread is the usage of these technologies, and being a laggard could cause a loss in their current market position. Due to this self-awareness and pragmatic thinking, companies incorporate discussions about these technologies in the top management strategy meetings. The first part of this article will be covered by the topic of digital strategies in general and the second half will focus on why blockchain should be a part of these strategies. Strategic management in general is a process of creation of company’s vision and goals and development of a strategy how to fulfil these goals. 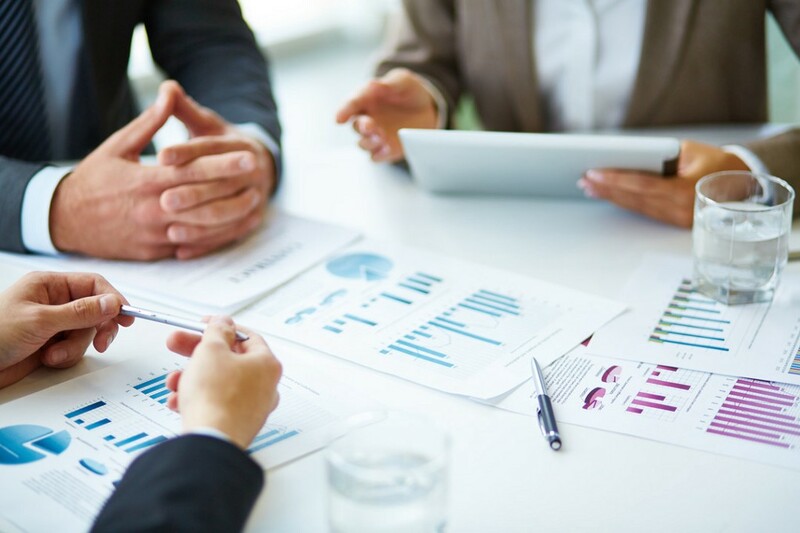 Another function of strategic management is an allocation of funds to carry out these plans, projects and programs to fulfil the overall strategy. Strategic management also coordinates and integrates activities across departments with the focus on achieving long-term goals of a company as a whole. Strategic management is the highest form of managerial activity. Company’s top management creates a strategy, chief executive officer is managing this strategy and unit management is responsible for its execution in a specific department. Generally, a digitization is a process of transformation of physical information or asset into its digital version, but in these days, the digitization is not the most important part of digital strategies for leading companies like it was a few years ago, because most of them already underwent the process of digitization, at least partially. Today it is a strategy of how to effectively process already digitized data. There is a big difference between companies which have a proper digital strategy for the era of blockchain and artificial intelligence and those who do not. Unfortunately, the majority of companies does not have a competitive digital strategy and that should be a wake-up call, because even a market leader can lose its market position. In history, we can find many cautionary tales of giant corporations whose laggard attitude has led them to fail and be a part of history. In the last few years, new technologies have been developing very fast. While a mass adoption of the Internet, televisions or radios took few decades, in the last few years, we are witnesses of incredibly fast development of new technologies. This pace is unprecedented, and several technologies went from zero to hero just within several years. Facebook, for example, has been invented in 2004 and in just six years this social network had almost 700 million users across all continents. Another example could be a blockchain technology. Blockchain has been invented in 2009, but until 2013 only a few geeks knew about it. In this year there was a steep rise in the value of Bitcoin which attracted the attention to the cryptocurrency market and to its underlying technology called blockchain. Due to this attention, there has been a beginning of the development of use cases for enterprise solutions. Since then it is just 5 years and the blockchain is now considered as one of the biggest disruptors of status quo of corporate systems. This rapid development has one big downside for companies. In these days, it is very challenging to create a sustainable digital strategy. It cannot be said that in the history there were not disruptive technologies, but the development was much slower and companies were able to create and execute sustainable strategy. But in the last few years, it is different. Companies have to appropriately choose what their target market is and where they want to compete. This is also a challenging task because in these days there are no clear borders among individual markets and therefore these borders are about to blur. For every company, it is very important in which market it operates, but it cannot be said that there are markets more prone to the implementation of new technologies than others. A proper question company should raise is which technologies are more relevant than the others for their particular industry. Companies have to realize that the modern digital strategy is not a one-step journey. Because of very rapid development in these days, companies have to be able to adjust their decisions on a short-term basis. That means that the company cannot create three years strategy, because it is not able to predict where the technology goes. It has to create a contour of this strategy but be able to adjust the core by step by step journey. Overall, the best strategy is to design just the steps you consider immutable. The former CEO of GE Jeff Immelt commented on this approach and basically said that he knows that his digital strategy is forty steps long journey, but he can’t see beyond five steps, because there’s a fog. But when he climbs three or four steps he can see the next five steps. In the previous paragraphs, digital strategies were introduced in general with no focus on a particular technology. Now we focus on one particular technology, which is the blockchain. It is no doubt, that we can consider the blockchain as one of the most disruptive technologies these days. Among these technologies, we can consider also the artificial intelligence, IoT and virtual or augmented reality. There is one big difference between these technologies. Unlike IoT or virtual and augmented reality where you can physically see these technologies at work, blockchain is the technology which operates in the background and is quite difficult to imagine how this technology works. Another difference between blockchain and other new technologies is that the blockchain is more generic technology. That means that either IoT, artificial intelligence and virtual or augmented reality need tons of data to work perfectly and they need some technology which will manage those data in an efficient way. Blockchain is the technology which purpose is to carry out exactly these kinds of works. Due to this generic nature, blockchain is usable in many different industries and it will have an impact on many business models and many business processes. Companies, therefore, have to realize that this disruption will probably affect even their own businesses and need to act on that. They have to set up a proper strategy of how to react to this disruption, choose the proper blockchain approach and evaluate what would be an impact on their business if a strong competitor will implement this technology. Generally said, a good start for implementation of the blockchain technology is to start small and scale up. This is very important because in a small project the company will be able to understand the ups and downs of this technology and then build up upon its benefits and diminish the weaknesses. This same can be applied to digital strategy. The first step that the strategy should have is the selection of relevant people who will learn to understand blockchain and will know its both positive and negative aspects. These so-called ambassadors will be responsible for assessing the contribution of a blockchain to the various business processes of the company. Next steps should relate to the implementation stages because blockchain technology will evolve in time and with this evolution also goes its better usability. While in these days we can see that the blockchain is mainly used to digitization of many paper-based processes, its future potential is much wider. In the near future, this technology will be commonly used to so-called tokenization of physical assets such as diamonds, art or real estate. Tokenization is the process of transforming a physical asset into its digital copy. Imagine this with an example of a work of art worth $1000. If we tokenize this piece of art, then its digital form can be 1000 tokens each worth $1. This allows the owner of this piece of art to sell just a piece of it or sell it as a whole but to many people. In this way, we can tokenize de facto everything physical. At the highest stage of development, blockchain will disrupt whole business models and create new ones. This could cause that the competitors will start to cooperate (coopetition) by creating joint-blockchain ecosystems which will lead to new revenue streams or to saving costs by cross-industry transparent processes. Due to blockchain’s native attribute — encrypted access to data — the participants do not have to worry that some other participant will leverage a competitors’ data for its own advantage. This last stage of blockchain development is the most important one, but also the trickiest one. Based on PwC’s 2018 Global Blockchain Survey among 600 executives from 15 territories, 44% of survey respondents report that the ability to bring the network together is a top barrier to adoption. It is because there are many decisions to be decided among all participants of the ecosystem and every single one of them must agree with those decisions. Participants have to decide the rules for participation, how to ensure that costs and benefits are allocated fairly, what risk and control framework can be used to address the shared architecture, and what governance mechanisms are in place, including continuous auditing and validation, to make certain that the blockchain functions as designed. Due to these new business models, the companies have to adopt new strategy mind set and instead of reasserting existing roles, processes and business models, they need to create a strategy that is suitably transformed from where they are today. Companies have to take into account all of these developmental phases of the blockchain and choose an appropriate strategy to this technology. This strategy should also formulate how to react when a competitor implement this technology and what will be the moves when other competitors in the industry will join him in this coopetition. Those who will sooner understand the benefits of the blockchain and will be able to create an industry standard for coopetition will have a huge competitive advantage and for their competitors it will be very difficult to catch up on this issue. What are the key takeaways? Firstly, it has never been so important in history to have a sophisticated strategy for the digital world. The pace of development of new technologies is unprecedented and those who cannot respond effectively can very quickly lose their market position. And secondly, the blockchain is a technology that affects many companies either directly or indirectly by forcing them to connect to already-made solution. It is very important for companies to stop underestimating modern technologies and stop to rely on their market positions. They must learn to understand these technologies in order to predict their possible market consequences. It is better to be an early adopter and be the first, who assess that the technology is not ready yet, than being a laggard and risk to lose everything. Digital Strategy in the Era of Blockchain and Artificial Intelligence was originally published in Data Driven Investor on Medium, where people are continuing the conversation by highlighting and responding to this story. Lesser Known, Undervalued Cryptocurrencies With Great Performances. Could They Be The Future?